At the height of his success as a novelist, Ken Kesey picked up a film camera and set out to make a road movie. But the 30 hours of footage and unsynchronised sound were never edited down until now. 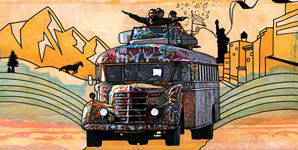 And this invaluable documentary, subtitled "Ken Kesey's Search for a Kool Place", compiles takes us along for the ride. 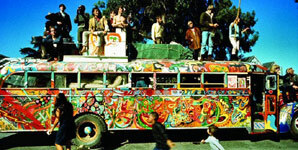 Inspired by Jack Kerouac's On the Road, Kesey and the Merry Pranksters decided to drive a colourfully painted schoolbus, christened Further, from California to the New York 1964 World's Fair to get a feel for what was happening in America. They made it there after two weeks of free-wheeling craziness with amusing small adventures every step of the way. But they also get so lost in dropping acid that everything starts getting rather chaotic, sending their relationships into soap-opera territory. Which makes the drive back home a bit surreal. A loving and earnest ode to the departed Jerry Garcia, Grateful Dawg is part "Jerry being Jerry" and part a look at the titular musical style -- a cross between the Dead, bluegrass, and various other influences that comes off sounding kind of like jangly belly-dancing music, sans sitar. The footage is mostly archival concert video and rehearsal shots with a smattering of interviews with old friend David Grisman (the director's father) and a few others. 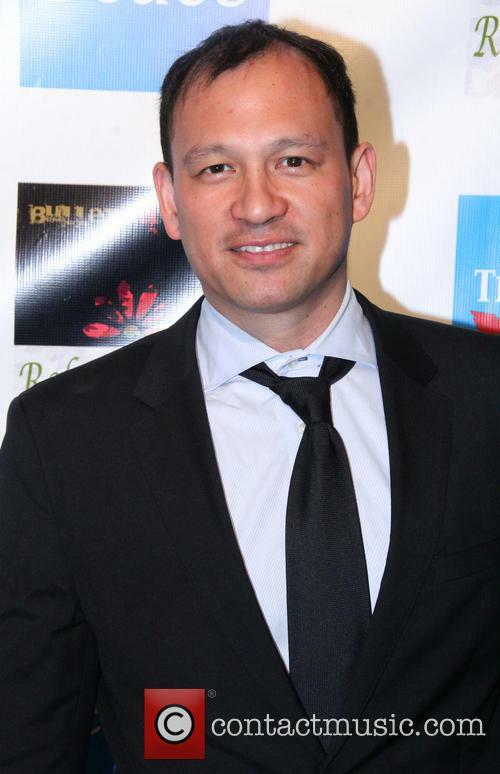 Not a bad time, but you really need to be a Garcia fanatic to get into the movie. OK, here's the setup. Eric Saperston graduates from college, and rather than getting a job, he decides to do the most cliched thing you can do: To buy a VW bus and follow the Grateful Dead around the country. Erk, scratch that. That's a movie that's been made before -- a lot, and never very well.